Unit 3B is a two bedroom, two bath, two level condominium with approximately 1462 sq. ft. of interior living space exquisitely furnished by nationally renowned Lovelace Interiors. The unit also boasts 595 sq. ft. of outdoor living to enjoy the warm breezes, views of the Gulf and Rosemary Beach. The living and dining room are decorated in rich red and tan fabrics, warm wood furnishings, exceptional artwork, and delightful accessories. The main living room showcases a gas fireplace, sleeper sofa and built-in media cabinets and is open to the dining area and well equipped kitchen. The front facing balconies are a wonderful place to enjoy the sunrise and Gulf views. A delightful guest bedroom with private bath and balcony finish out the first level. The second level showcases the master bedroom suite. The spacious master bedroom features gorgeous finishes, whimsical details and a private balcony lending to beautiful gulf views. Arched mahogany doors lead out to the private terrace that offers views of the town center. A sizeable master bath boasts a separate shower, Jacuzzi soaking tub, dual vanities, and a private balcony with a Jacuzzi spa. All of our expectations were met and in many cases exceeded. Would stay again. The condo is beautiful and well situated to all amenities. Thank you for a wonderful experience. What a extraordinary experience!! Great condominium! Incredible service! The property was gorgeous! The listing description was accurate! 1st class! 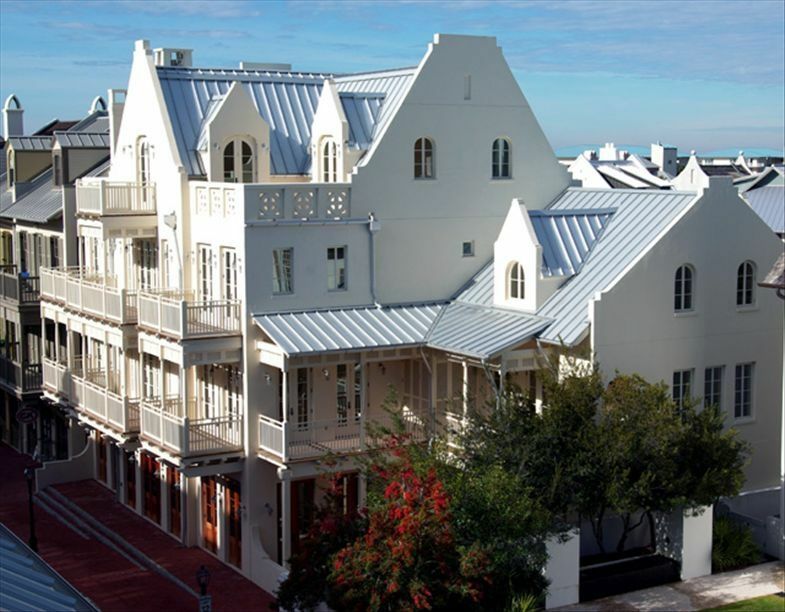 This is a great place to stay in Rosemary Beach! It's close to EVERYTHING! We can't wait to go back! I will stay at the Soleil again for sure! Cowgirls Kitchen was delicious and so conviently located on the 1st floor of the Soleil! Be sure to take a bike ride the first day you get there! It's so beautiful!